William Potter attempted his first novel at age eleven when he scribbled a few lines about a giant rampaging crab. The teen years kept his imagination in a state of unrest and he used poetry to journal personal thoughts, achievements and events of those times. He returned to his love of storytelling in his twenties, writing numerous short stories; and now in his forties, has completed two full-length novel manuscripts. 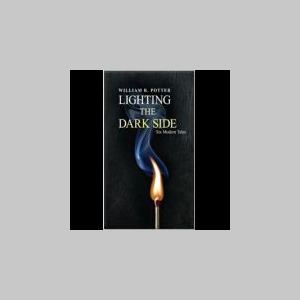 Lighting the Dark Side-Six Modern Tales represents his work from the past several years and is his first published book. The collection received the Editor’s Choice Award for short stories from AllBooks Review International in 2009. William resides in New Westminster, Canada with his wife and two children.